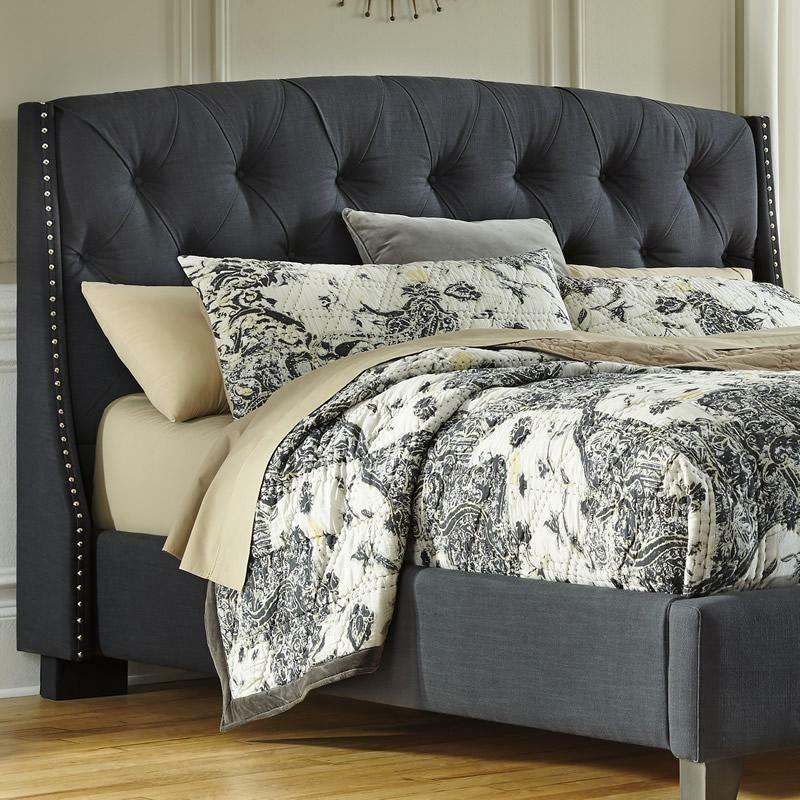 Indulge in a softer side of style with the Signature Design Kasidon queen upholstered tufted bed. Chic woven fabric graces the smooth lines, which are subtly shaped with tapered wings. Button tufting adds a touch of formality. 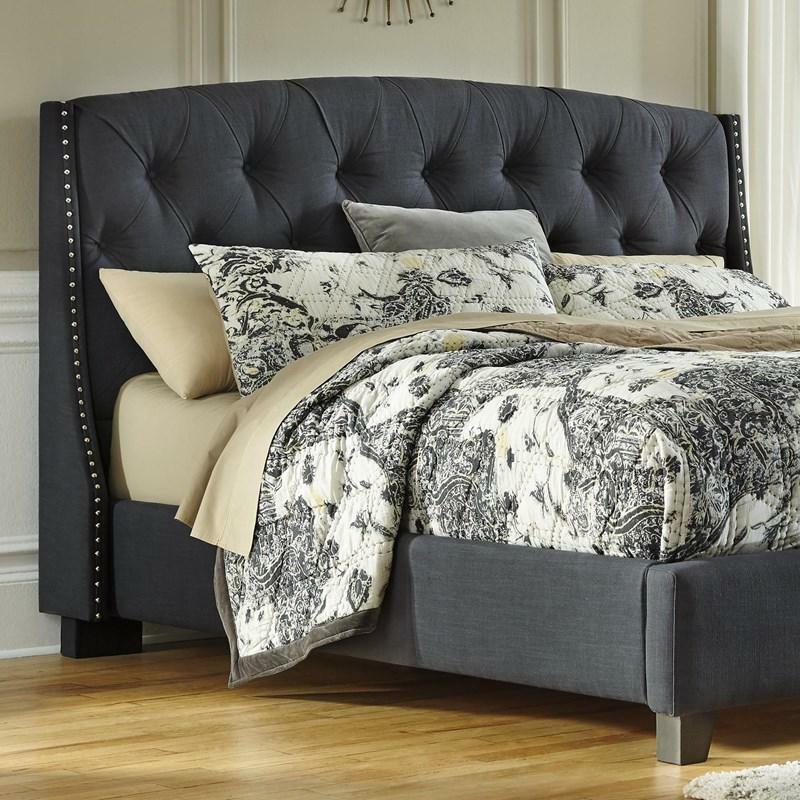 Indulge in a softer side of style with the Signature Design Kasidon king upholstered tufted bed. Chic woven fabric graces the smooth lines, which are subtly shaped with tapered wings. Button tufting adds a touch of formality. 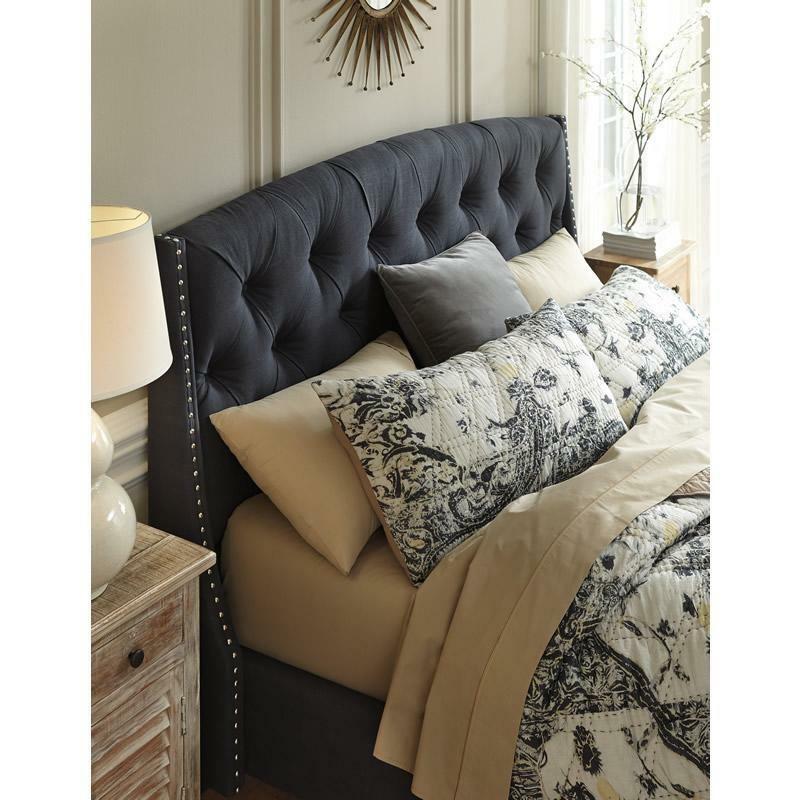 Indulge in a softer side of style with the Kasidon queen upholstered bed. Chic woven fabric graces the smooth lines, which are subtly shaped with tapered wings. Button tufting adds a touch of formality. 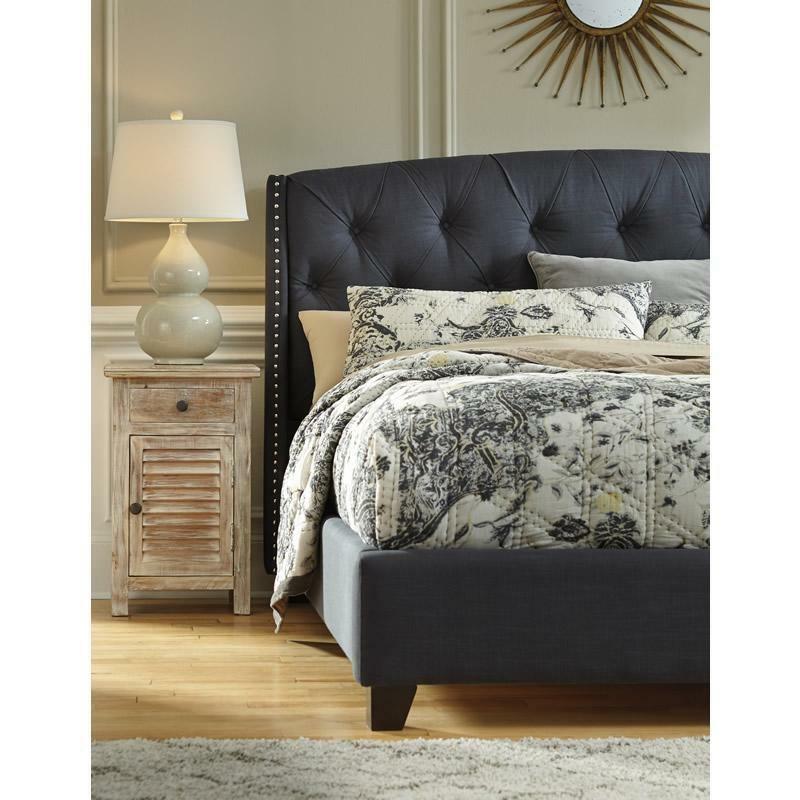 Indulge in a softer side of style with the Kasidon king upholstered bed. Chic woven fabric graces the smooth lines, which are subtly shaped with tapered wings. Button tufting adds a touch of formality.